The Glass Guru franchise now offers the Security Boss Pet Doors for installation in glass, doors and screens. Binswanger Glass was founded in 1872 when Samuel Binswanger opened a small glass store in Richmond, Virginia. The new business thrived in the reconstruction era that followed the Civil War. Soon Samuel’s four sons joined him in business and the company began serving clients throughout the South. The early 1900s were a time of growth. By 1903, the Richmond office could no longer handle all the business and a branch was opened in Memphis. In 1923, a second branch was opened in Houston. The 1930s were a time of hardship. The financial crash of 1929 hit the nation hard. Everywhere men were selling apples on street corners, and “brother, can you spare a dime?” was the song of the day. Fortunately, Binswanger Glass was financially strong with the resources to withstand an economic disaster. The company was also committed to taking care of its employees and serving its customers. Although hundreds of thousands of dollars could have been saved by cutting wages, working shorter hours, and laying off employees, Binswanger chose to suffer years of losses rather than sacrifice its employees or lower its customer service standards. Binswanger Mirror was founded in 1947. The company’s investment in people and customer service paid off. After the Depression, the company began to grow again, and in 1947, Binswanger Mirror was established to meet the increasing demands of a post-war customer base and take advantage of the building boom that followed World War II. In the 1940s, Binswanger Glass sold a full line of glass and mirror products as well as garage doors, mantels, kitchen cabinets, breakfast nooks, and exterior doors. Dealer cost for top quality folding attic stairs was $69! When Binswanger Glass celebrated its 75th anniversary in 1947, there were 13 branches in 15 southern and southwestern states. By 1955, Binswanger had nearly 1,000 employees and 21 warehouses. By 1974, Binswanger responded to a growing need in the furniture industry by founding Glasscraft, the first company to produce heavy glass tabletops. Manufacturing operations were set up in Memphis, and soon glass tabletops were seen in prestigious homes and offices all over https://www.ourhealthissues.com America. Their commitment to excellence is why Glasscraft was chosen to engrave the 57,000 names on the Vietnam War Memorial in Washington, D.C.
Today, Binswanger Glass, has 70 locations in 14 states. Binswanger Glass is one of the biggest installers of glass and glass-related products for residential and commercial use and is a major installer of Auto Replacement Glass in the country. Binswanger Glass is also a leader in glass retailing, providing framed mirrors, shower enclosures and replacement glass to the general public. 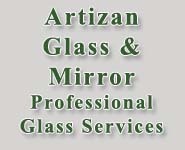 Artizan Glass and Mirror is a family-owned and operated business servicing the valley for over 20 years. We pride ourselves on providing professional, quality products and services at affordable prices. If it’s glass… See us! As Kansas’ oldest glass shop, Lewis Street Glass is the only company in Wichita with glass experience as trustworthy as the old Ford Model T, which was our first delivery truck. Founded in 1919, Lewis Street Glass has remained a family business. Over the years our business has expanded to include commercial glass work, new construction, remodeling, and repair, but we have remained committed to the principles we have had since the beginning – Integrity, Craftsmanship, and Service. So if it’s glass… see us for prompt and quality service, regardless of the specialized or unusual nature of your needs. Our Pet Stop pet fence systems are the best dog fence available today. We are continuing this high level of service by offering premium dog doors for every budget. We began installing pet doors in 2011 and have found it to be a perfect complimentary product with our pet fence systems. Picture the convenience of your pet going outside on their own while you continue to enjoy watching television or doing other things. A professional dog door is the perfect solution for a convenient lifestyle. We are committed to becoming Kansas City’s number one dog and cat door installation company. Call us today for a free dog door estimate at 816-454-7297 or 913-381-7297.